We attended our second revival which was held in a tent, hence our first tent revival. With an established physical church, we are uncertain of the reasoning of having a revival at a public park. As with the initial revival, most attendees seemed to be believers. While the speaker’s time was less than half an hour, the teaching was full of technical jargon that was not explained. Unlike the first revival, there was no “altar call”. The final senior edition of my high school newspaper predicted I would be a televangelist ...“there I go, but for the grace of God”. Then, as now, people hold and express strange opinions of Yours Truly. Clearly, I must have projected the lust for money and power, but not morality, or a standard of values. The mind betrays the soul. If I sought to dominate others, to demand obedience to my whims and fantasies, then the modern church is ideal for such purposes, if, however, I seek equals, then the modern church is not the avenue for success. Although the preceding decades have not been filled with throngs of easy to educate undergraduates, I can point to successes among the vast majority of individuals, and outstanding achievements among select individuals. We may say that my successes are more spectacular than if I had doctoral students, for my disciples are typical people; few have been exceptional. Therefore, one ability has been to teach and improve individuals who otherwise would not have had the opportunity of knowing one who values the mind. Those individuals who value the mind cannot be the same people who undermine and question the value of the mind, hence, my disdain for those innumerable charlatans that are ever present in our age. Preachers must know, or should know, that their teachings are almost entirely the product of the American experience. They must know that their opinions are not ancient and time honored, yet they behave as though Christ himself taught such strange ideas that are often contradictory. 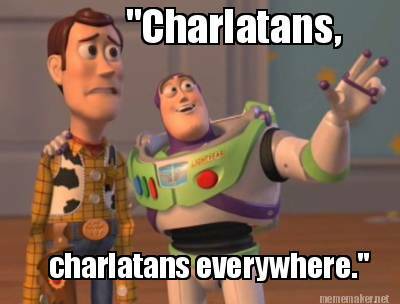 Charlatans, Gentle Reader, charlatans everywhere. These protestant teachings are so far removed from internal consistency as to be laughable; laughable until one realizes that people believe, or publicly claim to believe, mutually contradictory beliefs (such as dying souls, souls deserving death, and immortal souls). Even the innovation of separating heaven from hell seems plausible and reasonable, but this division has no basis in history, only in human reason, where history is correctly understood as pre Biblical history, that is, practices and standards before the 16th century. The protestant understanding of the purpose of Biblical Christianity, combined with accepting certain extra Biblical traditions and customs, results in many strange positions. Jesus himself is also God, fully divine and fully man. “Fully man” is to be understood as the “word become flesh”; the logos existed in the body, but did not engage any behavior that is understood as “sin”, Jesus existed in, but was not of, this world. Therefore, the term “fully man” is not to be understood as a normal man, but a sinless man. The sinless and divine Jesus sacrifices himself, (committing suicide [deicide?]) as an offering based on Old Testament practices. Protestants generally teach that Jesus’ shedding of divine blood frees people from the certain punishment for their previous sins. This shedding of blood allows former sinners entry into a specified location designated as heaven. However, although the shedding of blood is vital, the individual sinner must repent, or change his mind, and accept this vicarious atonement as a gift. If one does not accept this gift, then the default destination in the afterlife is hell, or a place that is now taught to be removed from God and separate from heaven. Of course, once one accepts this gift, one is obligated to follow some, or all, of the revealed laws of Israel. What is following the law, but a rejection of grace? The modern Christian suggestion of knowing that one is “saved” implicitly denies faith. Saint Paul clearly writes that faith is the “belief in things not seen” and since personal salvation is known, belief is correctly understood as superfluous, and as belief is a condition of faith, so faith is subtlety denied by the teachings of modern Christianity. The adoption of, and attempts to practice, Modern Christianity is nothing more than popular behaviorism. Since Modern Christianity is focused on the blood atonement of the Crucifixion, the Resurrection becomes an afterthought, for how should one understand the Resurrection, as it has nothing pertaining to the shedding of blood, or the death of the victim. The simplest understanding of the Resurrection is that the followers of the Master can live again and that, Gentle Reader, is the good news. However, today, the good news is that if one does not accept the Master, or more accurately, the modern interpretation of the Master’s teaching, Hell is one's destination. While the Gentle Reader may conclude our behavior regarding modern Christianity is due entirely to our upbringing in the Orthodox Church, we suggest otherwise. If modern Christianity used words in their proper context and meaning, then we would be less critical, and if they acknowledged that their innovations have no historical precedent, that is, if they were forthright regarding the historical development of Christianity, then our various criticisms would be meaningless and justly described as idle complaining. The focus of our criticism has been the “preachers” of modern Christianity, since we presume they should be familiar with history. However, in our modern age, there is only one reason why the protestant laity has no knowledge of Christian history: indifference. This indifference is manifested in the laity’s ignorance of Christian history, generally, and Orthodox Christianity, specifically. We may also state that attending various churches is an example of indifference, since one church is not essentially different from another church. We are not surprised that a lack of values, of what is correct and what is incorrect, results in ecumenicsm, so called. In modern Christianity, the Bible is frequently described as “the word of God”; the confounding of a book with the second person of the Trinity must be intentional, otherwise a different appellation would be applied to the Bible. The opinion that a single book, the modern Bible, is the standard of Christianity is without merit. By removing historical narratives, poetry, and predictions, what remains are the words of the Master and Saint Paul. If the essence of Christianity can be found in the modern Bible, then we are confronted with tens of thousands of varying opinions on the proper application of the text. Clearly, there can be no proper application of historical narrative, poetry, or predictions, so the interpretation of the words of the Master and Saint Paul are the primary reasons for various churches. A reasonable conclusion is that the Bible cannot be the standard of Christianity, unless one accepts that Christianity has always been, and will always remain, a confusing jumble of opinions. Therefore, we conclude that the divisions within modern Christianity are not due to the activities of the Holy Spirit, but due to the actions of the Devil. Our conclusion is consistent with Saint Paul's observation that God is not the author of confusion. We fervently hope that modern Christians repent, that they change their minds regarding their indifference towards both words and towards history. It strains credulity that anyone could conclude that man, or a follower of the Master, can become divine from the Resurrection account. This understanding or exegesis is ludicrous, therefore, the teaching of theosis is the primary evidence that not all Christian teachings are found in the Bible. ​We can say that in the wonderful world of the Occult people can learn, whether words or history or astronomy or languages. The observation can be made that modern Christianity is popular occultism, but popular necessarily implies that learning or reasoning is not required. However, the one practical or single objective aspect of modern Christianity is monetary donations. ​In the wonderful world of the Occult, at least donations occur because the Apprentice has learned, will learn, or at a minimum, can learn (Apprentice Denver being the possible exception). When the Occult is compared to western Christianity, one can understand that modern Christianity is a “zero sum game”, the preacher benefits, while the congregation is taught what everyone knows- conventional wisdom and popular morality. 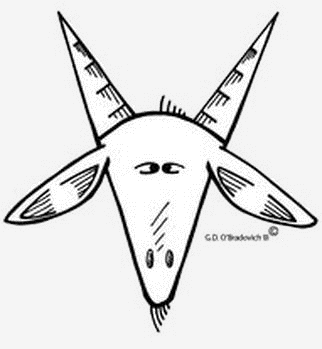 Whatever criticisms may be directed towards the legitimate practice if the Occult, being a “zero sum game” is a not a valid complaint. 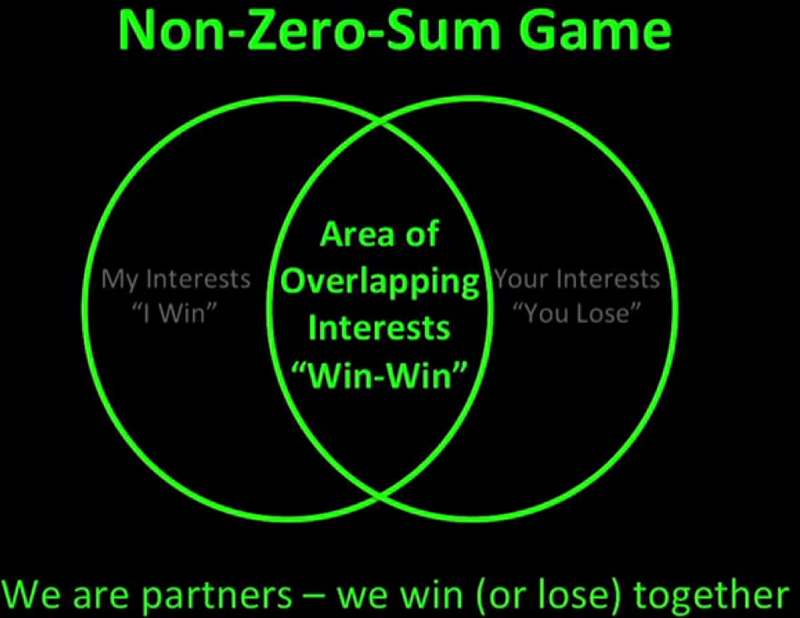 Zero sum games are the proper domain of charlatans who seek filthy lucre from and, authority over, their disciples. “Freely it was given, now pay” cannot be attributed to the Master of scripture or to a legitimate teacher of the Occult.